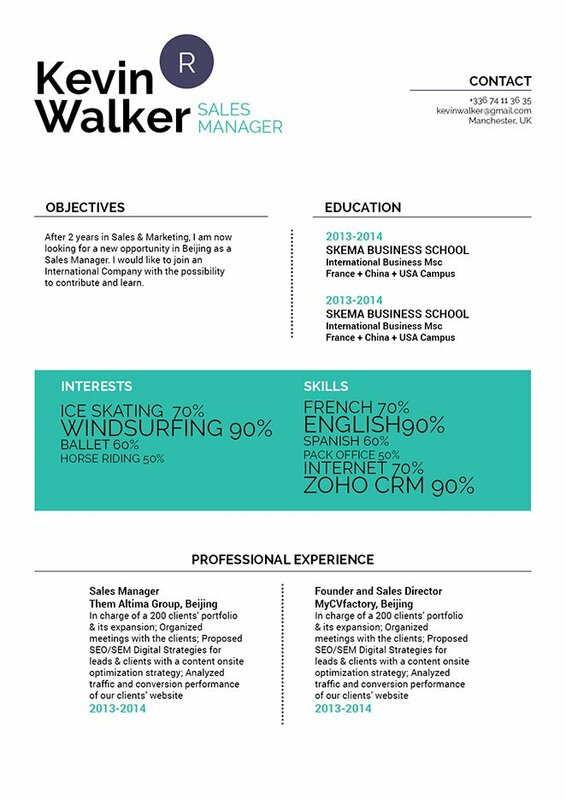 Very nice resume; the blue square highlights the key information. CV template to download "Beneficial"
The Beneficial Resume has a clear format that makes all the content easily accessible! 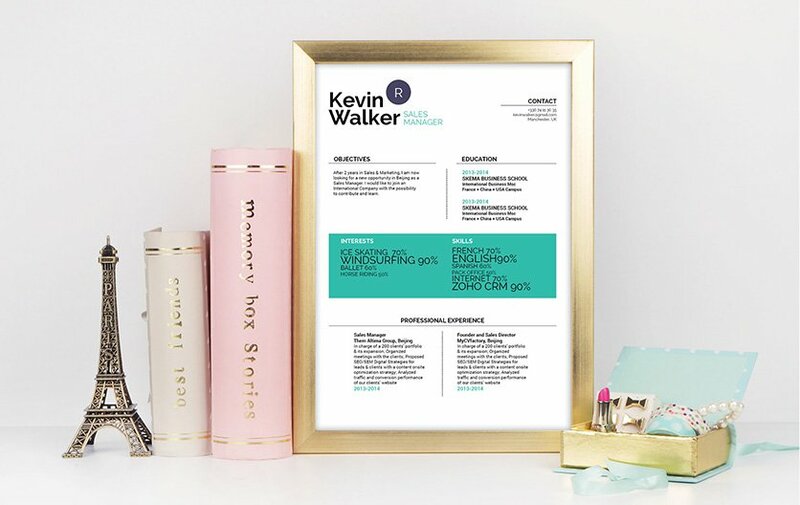 This student resume template utilizes an excellent selection of colors, shapes, and texts which come together to make an eye-catching resume design that is sure to be useful for any type of job application! Job seekers that have a solid set of qualifications will find this resume perfect as it lists down all the pertinent information with good detail and is sure to increase your chances of landing that job! Tip of the day: Create an effective and comprehensive resume design to grab the attention of your potential employer. To create a good or even perfect resume, create a lay out that is clear and comprehensive. Since most resumes are typically scanned for 10-30 seconds, it's important that you present all the pertinent information in a well-organized manner. To achieve this, choose professional looking fonts such as Seriff or Sans Seriff, select a font size only between 11 and 12, and selectively apply bold and/or italic font styles to help guide the reader's eyes. Bullets will give emphasis on key phrases of your resume (e.g. achievements) And the use of wide-margins, headings, and subheadings will give your resume a logical format that is easier to follow.